Arianne Atlan was named associate market editor at CR Fashion Book. Atlan previously served as fashion market assistant for Marie Claire since July 2013. Prior to that, she was a PR assistant at Christian Dior Couture and worked as a fashion assistant at The Wall Street Journal Magazine from July 2012 to December 2012. 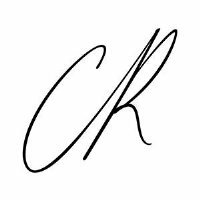 For the latest trends and fashion tips, follow the CR Fashion Book on Twitter.